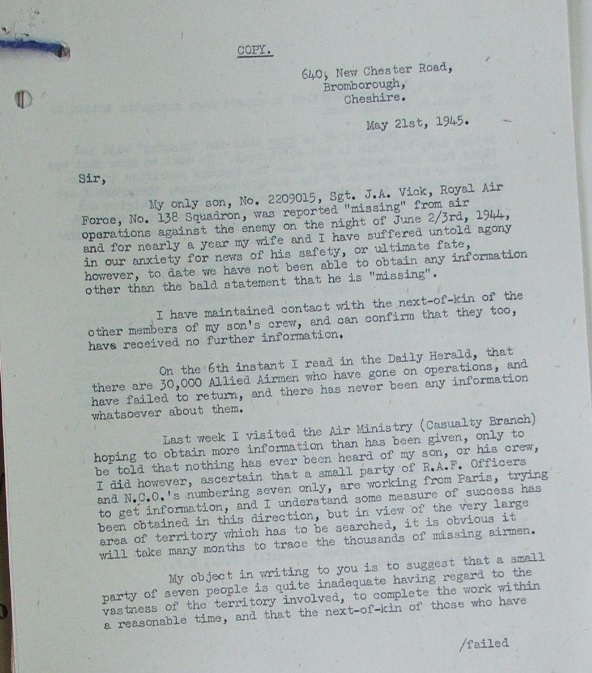 The Royal Air Force Missing Research and Enquiry Service (MRES) was set up in 1944 to trace the 42,000 personnel who were listed as 'missing, believed killed'. 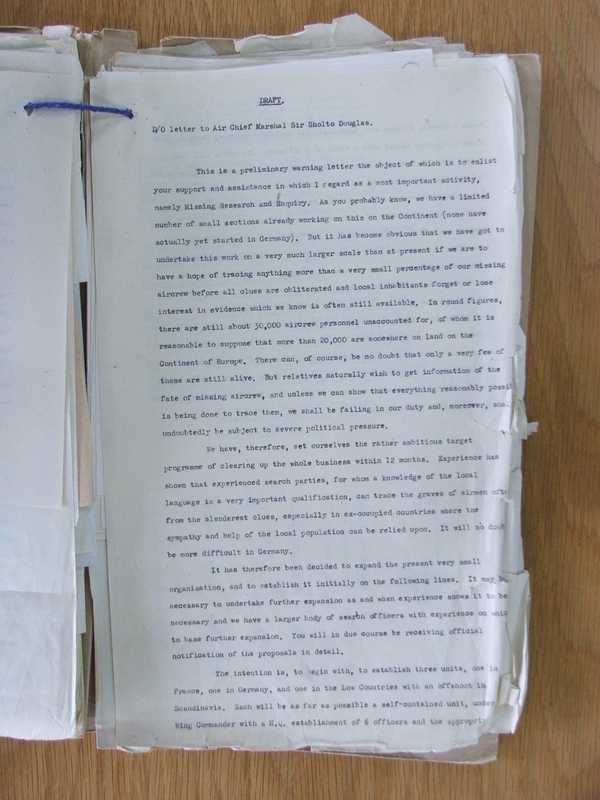 The demand was so great that the department was expanded in 1945. These men had no special training, and did not have the benefits that modern technology offers; only a strong desire to bring home those who had not returned. 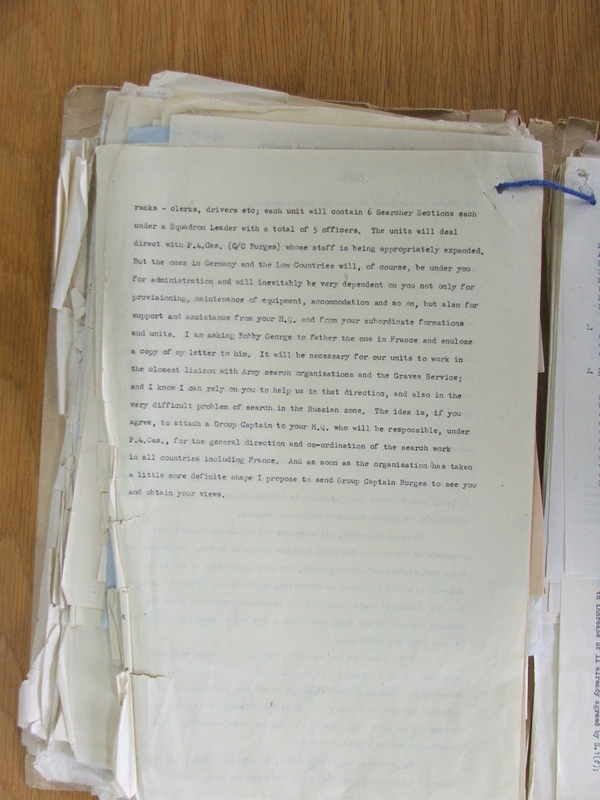 Despite the obstacles caused by the lack of tools, the MRES was able to account for over two thirds of the missing personnel by a thorough combing of the globe. 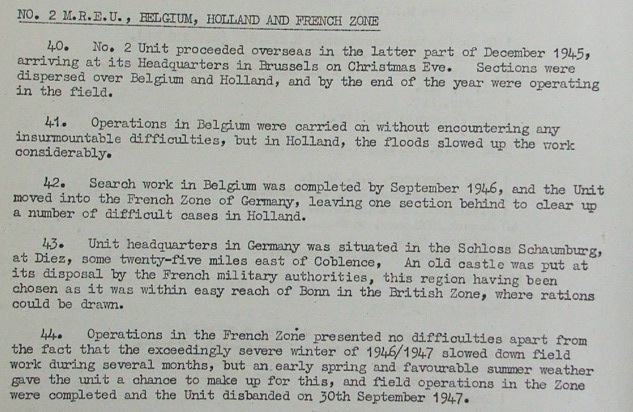 During 1945 a total of eight Missing Research Sections were established across Western Europe. 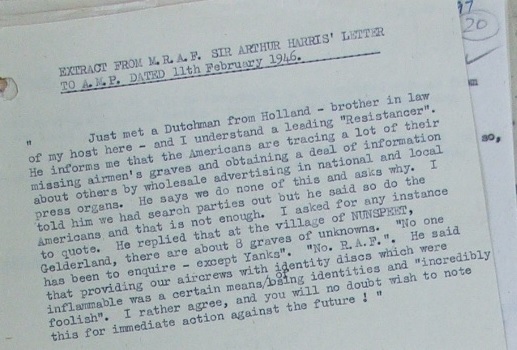 However, such was the scale of the task confronting the MRES that in July 1945 it was decided that this organisation should be greatly expanded. 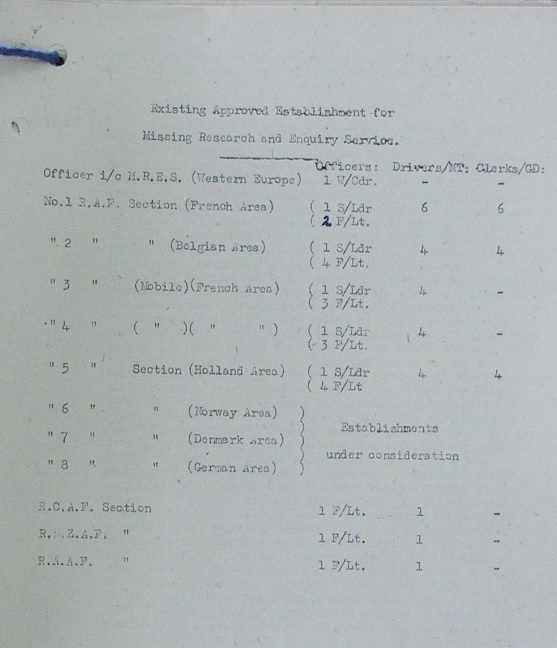 By April 1946 the eight Missing Research Sections had been replaced by four larger Missing Research and Enquiry Units (MREUs) covering Western and Central Europe. Subsequently, a fifth MREU was created in Italy to conduct investigations in Southern Europe and the Mediterranean. Missing research activities were also conducted in the Far East. 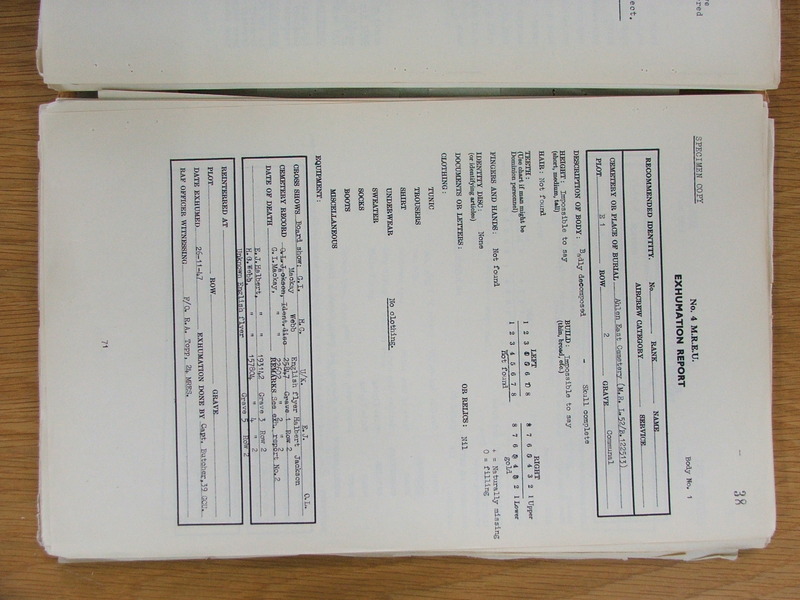 Although the MREUs were attached for administrative purposes to RAF formations in the country or region in which they were to operate, the MRES remained under the direction of the Director of Personal Services and its work was coordinated by P4(Cas). 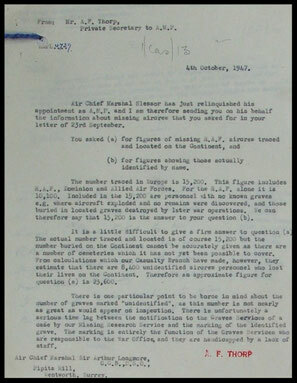 Following the disbandment of the MRES on 30 September 1949 the casualty branch continued to be responsible for all aspects of research into those still listed as missing and a small number of 'Missing Research and Enquiry Liaison Staffs' (MRELS) posts remained after this date. 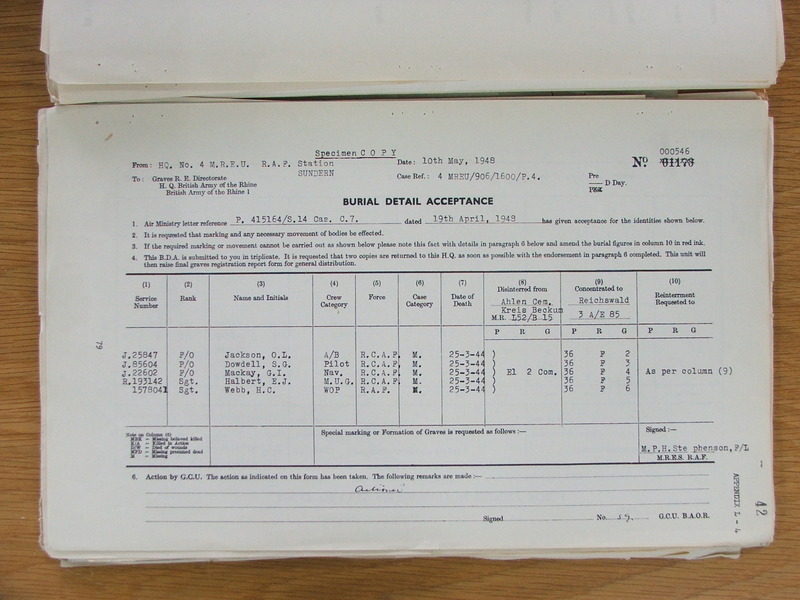 On 19 August 1946 control of the casualty branch was transferred from the Directorate of Personal Services to S7 and P4(Cas) was redesignated S7(Cas). 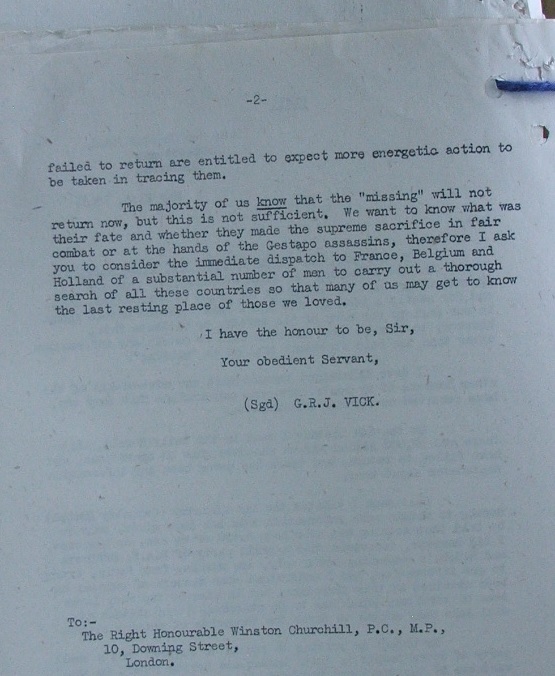 Although this would appear to have marked a reversion to the pre-war pattern of casualty administration, the Director of Personal Services continued to maintain an 'interest in the work of the Casualty Branch and of the Missing Research and Enquiry Sections abroad' and responsibility for this oversight function was vested in the Deputy Director of Personal Services (2). 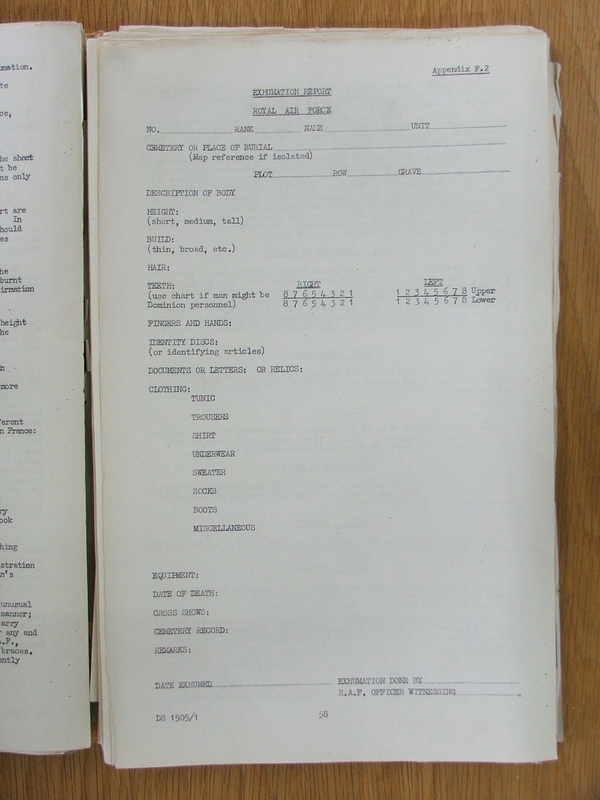 In March 1947 S7(Cas) relocated from 73/77 Oxford Street to 2 Seville Street, Knightsbride, SW1, and in the following month the branch switched from S7 to Secretarial Division S14, being redesignated S14(Cas) with effect from 28 April 1947. 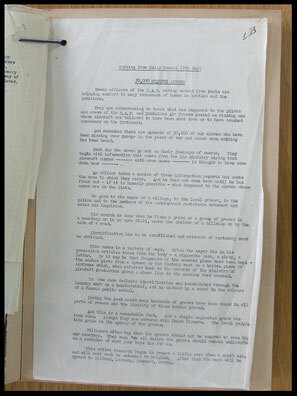 As part of a programme to transfer Air Ministry branches from Central London to the 'periphery' the personnel of S14(Cas) moved from Seville Street to the government offices at Stanmore in April 1949. 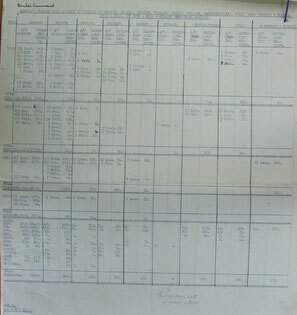 Secretarial Divisions S7 and S14 were combined under the title S7 with effect from 1 February 1956 and as part of this reorganisation the responsibility for casualty administration was transferred to the RAF Officers Appointments and Record Office (OAR), the casualty branch now becoming AR9(Cas). 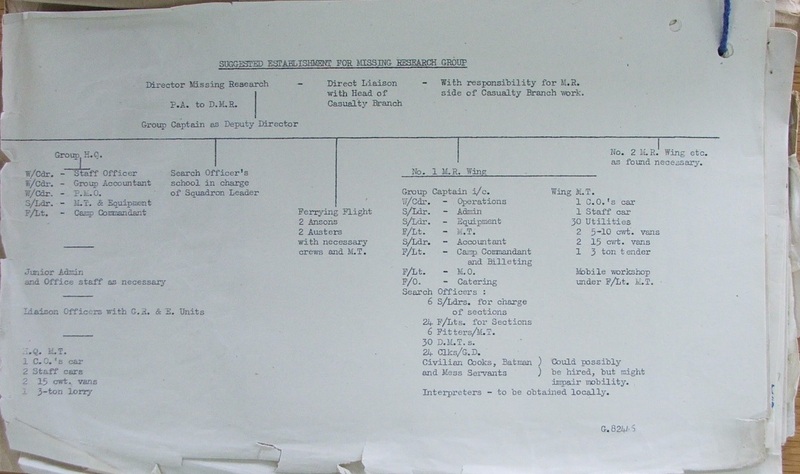 Those found were identified and reinterred in Commonwealth War Graves Commission plots.Without the commitment shown by the dedicated teams of the MRES, many families would go on not knowing what had happened to their loved one or of the location of their Final resting place. The MRES allowed families the dignity to finally grieve. 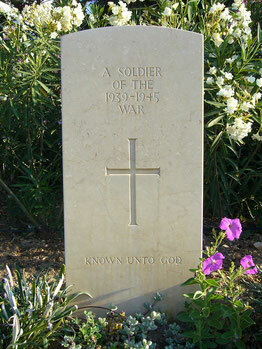 The unit was disbanded in 1952.